Leeds is a city in West Yorkshire, England. The city is approximately 196 miles from London and has a total population of around 80,000 people. Leeds is the fourth largest city in England. It grew into a large city after the industrial revolution, when it became famous for its textiles, chemicals, leather and pottery industries. The industrialization of the city resulted in the building of the Leeds to Liverpool canal. Leeds is also well known for its sport. Leeds United Football Club has won a number of league titles and the FA cup. Other well-known sports clubs in the city include Rugby Union side Leeds Carnegnie and Leeds Rhinos rugby league team. Leeds University is a popular choice for students from all over the country. It dates back to 1831 and is home to over 30,000 students. A popular local landmark is the Hyde Park Picture House in Headingly, an old style independent cinema popular with locals and visitors to the area. Famous residents of Leeds over the years include Melanie Brown (well known as Mel B or ‘Scary Spice’ from the Spice Girls). Others include Chris Moyles (radio presenter), Ernie Wise (comedian) and Peter O’Toole (actor). Neighbouring towns to Leeds include Roundhay (5 miles), Beeston (3 miles) and Killingbeck (4 miles). 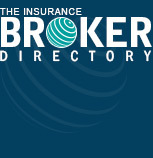 The Insurance Broker Directory is a Special Projects Initiative designed and owned by The Bureau. For further information about this or any other initiative run by The Bureau, please contact us.